Good news, The Elder Scrolls online release dates have been confirmed, and the best news is that there will be no monthly subscription to pay! 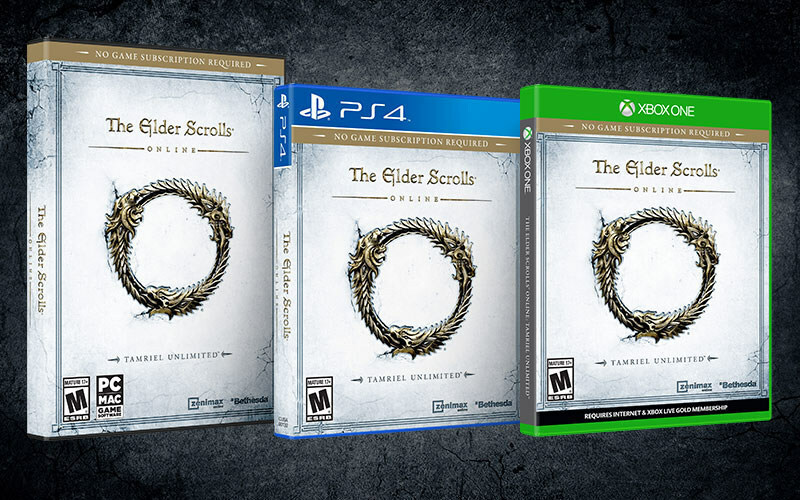 ROCKVILLE, Md., Jan. 21, 2015 /PRNewswire/ — Bethesda Softworks®, a ZeniMax® Media company, today announced that its long awaited, award-winning multiplayer roleplaying game, The Elder Scrolls Online: Tamriel Unlimited, will release worldwide on June 9, 2015 for the PlayStation®4 system and Xbox One®, the all-in-one games and entertainment system from Microsoft. For the first time in history, players will explore the legendary world of Tamriel with their friends on console. In the latest and biggest Elder Scrolls game ever made, players will be able to adventure alone, quest with friends, or join an army of hundreds in epic player vs. player battles as they explore and discover the secrets of a persistent Tamriel. For more information on the different ways players will be able to experience The Elder Scrolls Online: Tamriel Unlimited, please watch our livestream on twitch.tv/zenimaxonlinestudios today at 12pm ET or visit: elderscrollsonline.com/faq. The Elder Scrolls Online has been rated M for Mature by the ESRB. For more information on The Elder Scrolls Online visithttp://elderscrollsonline.com. YES. YES. YES. YES!!!!!! SO HAPPY!! I’m not surprised by the drop in subscription. It just felt like it was always going to happen at some point. I’m looking forward to trying it out! Hopefully it doesn’t disappoint. I no a lot of people who were turned off by the monthly subscription and were going to pass on the game due to it. So it’s a brilliant decision in my eyes. I played the early beta on PC and it was good. But that was last year. So hopefully it’s even better come June!